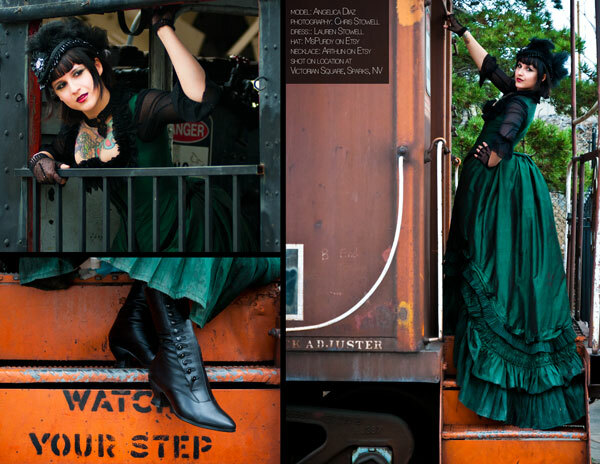 Before my vintage fashion addiction took hold, I was madly in love with historical costuming. 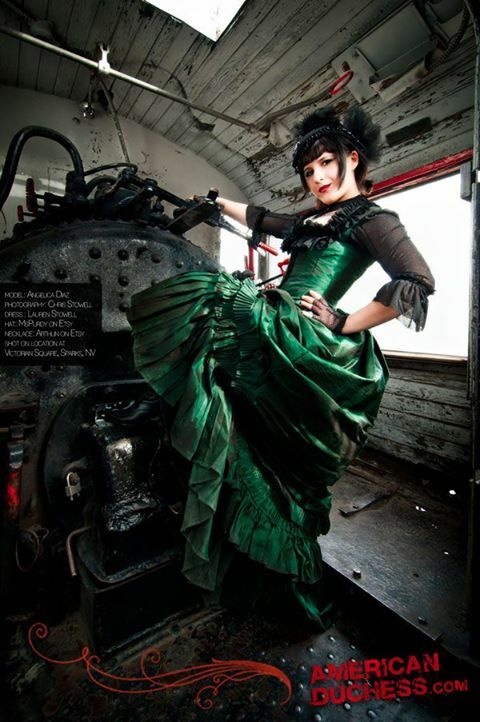 From Elizabethan to Victorian era. If I could, I would wear it every day. Sadly, a bustle or Elizabethan ruff isn't very practical in the modern world but you can add some touches from fashions of antiquity like accessories and shoes! Here are some beauties that I'm admiring from American Duchess for the spring and summer that would look really fun and unique with modern or vintage outfits. Our local antique malls are full of Victorian garments and shoes but good luck finding a pair of boots in a modern size 9 or 10! 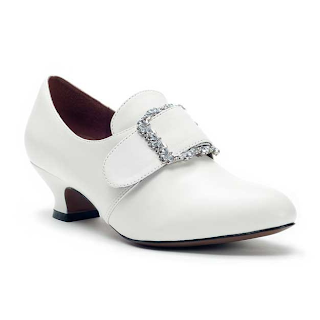 The Tavistock from American Duchess comes in ivory and black and features period correct gusset and easily adjusted buttons for a perfect fit through the ankle and calf. This boot uses only period- correct button closures. Hint, ladies! You'll need a beautiful button hook for your vanity set to fasten them- just like the originals. 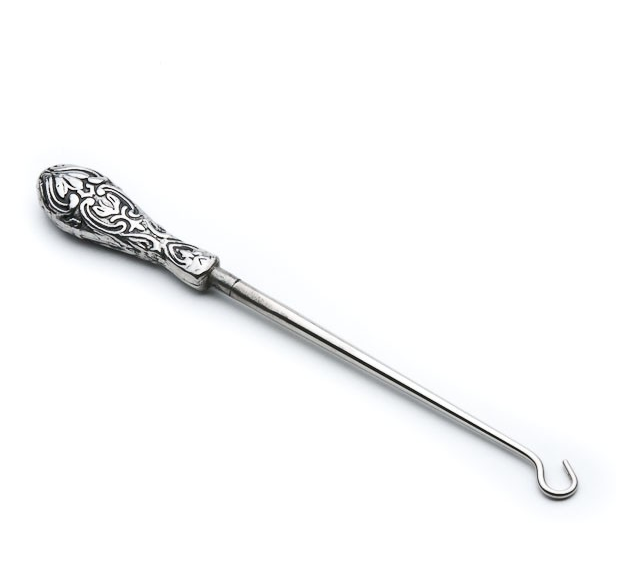 American Duchess offers a discount on reproduction Victorian button hooks when you order with your Tavistock boots. Although many of us do not do reenactments very frequently, the Kensington with its one-of-a-kind Louis heels and hand stretched pointed toe would be a unique addition to a summery dress or (don't shoot me here) even worn with jeans. Seriously- forget about modern heeled booties in the fall and try something really fun! This shoe comes in top quality dye-able calfskin and buckles can be swapped out to customize this shoe to your heart's content. Buckles are sold separately but American Duchess offers a beautiful range of reproduction shoe buckles along with a discount when you order with your shoes. 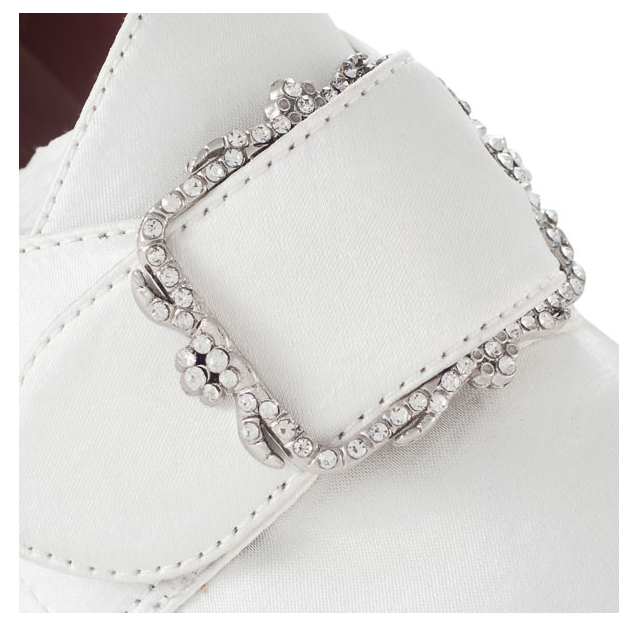 My favorite is the elegant and classic Dauphine rhinestone shoe buckle. the gorgeous 1930s Claremont Shoes. Aren't they divine? Stay tuned for more on that next time!! Those 30's shoes are GORGEOUS!!! I was looking at their website the other day, and I literally wanted everything! 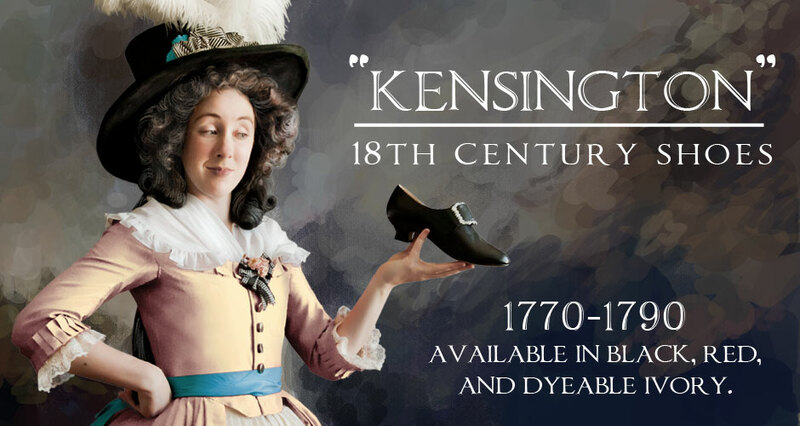 I love perusing their website, thinking of what new clothes I could sew to wear with all their lovely shoes. I'm going to have to start saving my pennies for those Claremonts! the duchess does soooo pretty shoes! Each one of these pairs is so swoon-worthily gorgeous as as classic as the day is long. American Duchess can do no wrong in my books. I'm all for independents but it would be nice if they stocked something in a wider width. Or have I missed something and they now do, in another line? I see these new boots cover 2 different calf sizes. Why not foot width sizes? They are gorgeous boots and my little greedy shoe obsessed heart wants them terribly, but I would rather walk barefoot than shove my wide feet into too-small shoes. 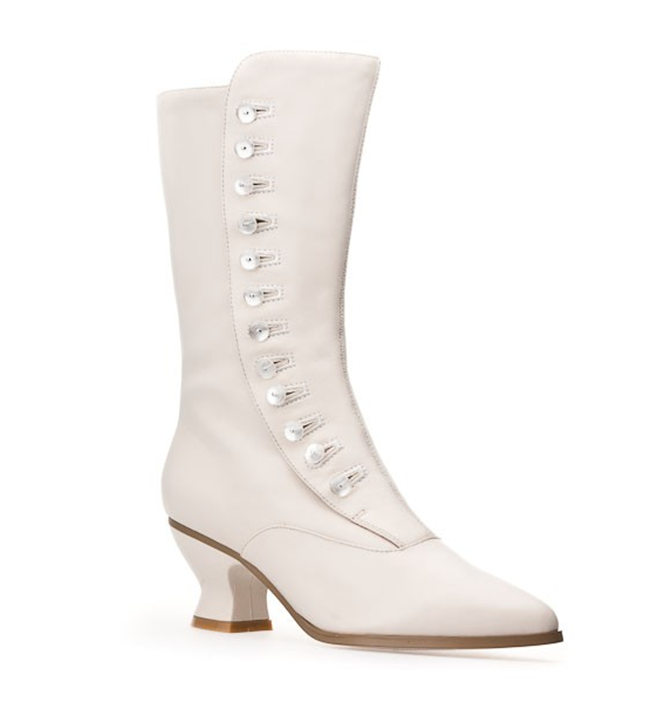 Alas, pretty boots you are not for me. Wow thank you for posting about the button up boots! I soooooo want those! They really look like an antique pair!